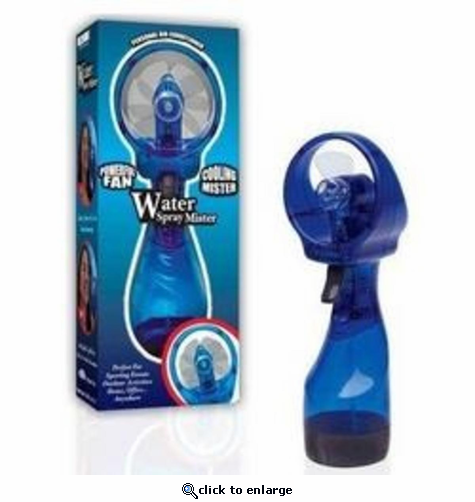 The Power Advantage Water Misting Fan is a sure way to keep yourself cool this summer. Simply fill with water and spray away! JOBAR INTERNATIONAL, INC., founded in 1972, is a world-wide market leader in the consumer products industry. They are a business-to-business (B2B) product developer and manufacturer creating unique, functional and quality products. Jobar International, Inc.'s vast line of traffic building products is enhanced with an endless supply of innovative new merchandise. The product line spans a diverse range of categories under the banner of Jobar\xCDs well-established and definitive brands. With significant global reach for over 40 years, Jobar continues to design and develop unique products with innovative solutions for better living!